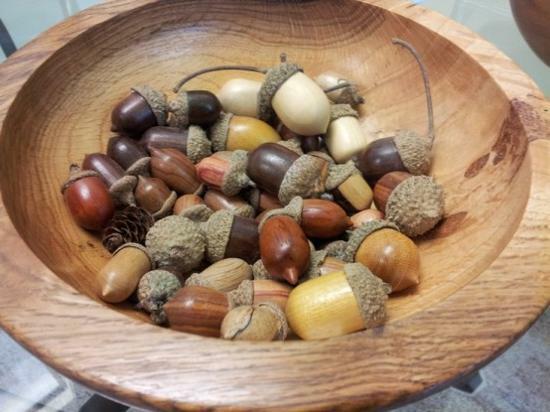 Acorns are a wonderful natural material that is free. 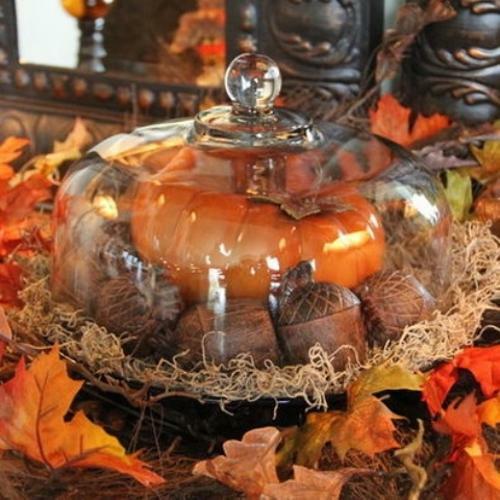 Acorns come in different types, colors and sizes, allowing to create truly unique table centerpieces that bring natural feel and grace into fall decorating. 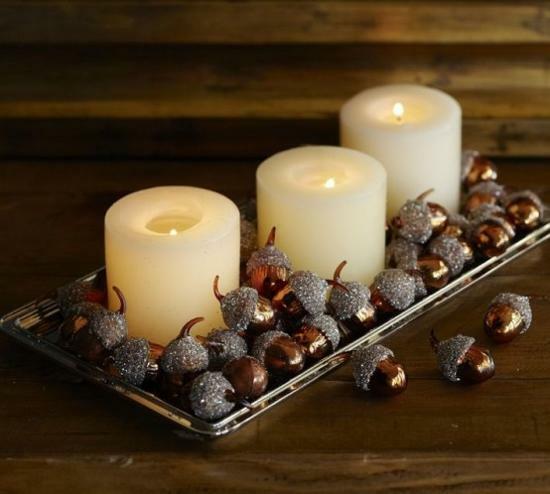 Acorns are symbolic and beautiful, ideal for cheap, unpretentious, elegant and modern fall decorating. 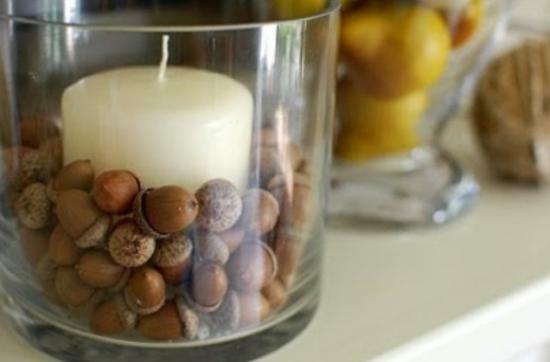 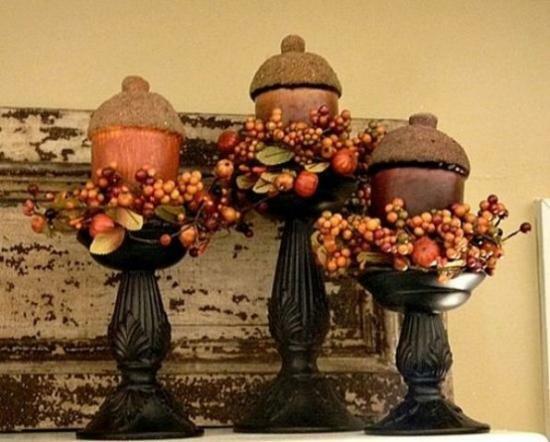 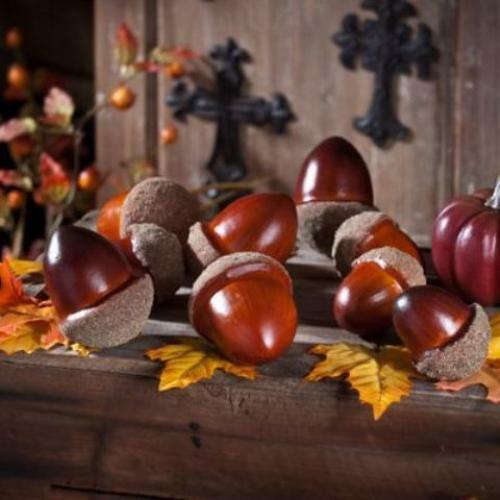 Fall decorating ideas that include acorns are simple, attractive and inexpensive. 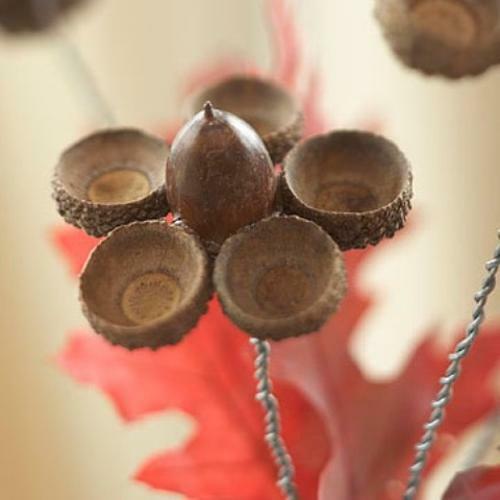 Take a hike, walk in your local park and bring home pretty acorns for your creative fall crafts and unusual table centerpieces. 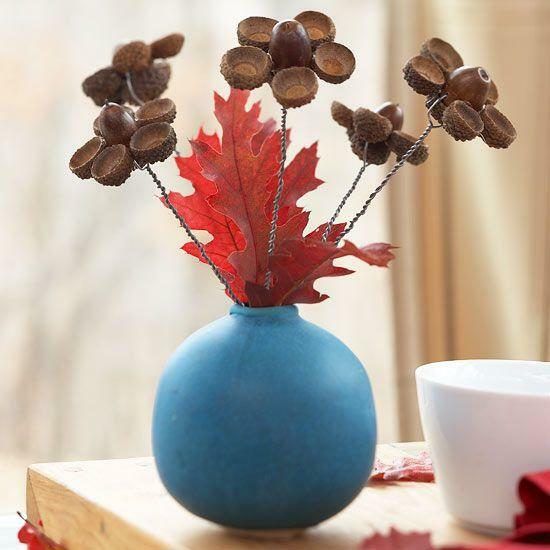 Acorns feature smooth round shapes, bring beautiful brown colors into room decor and make wonderful home decorations in autumn. 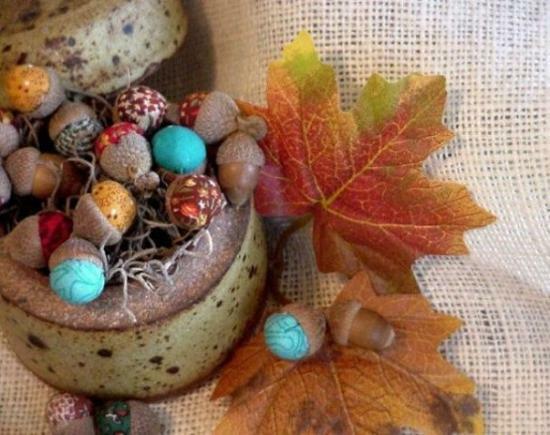 Nature gives great inspirations for fall crafts. 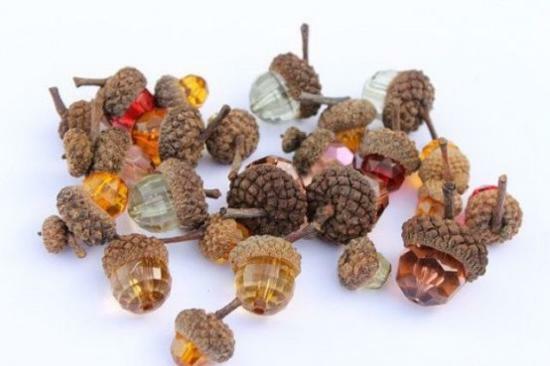 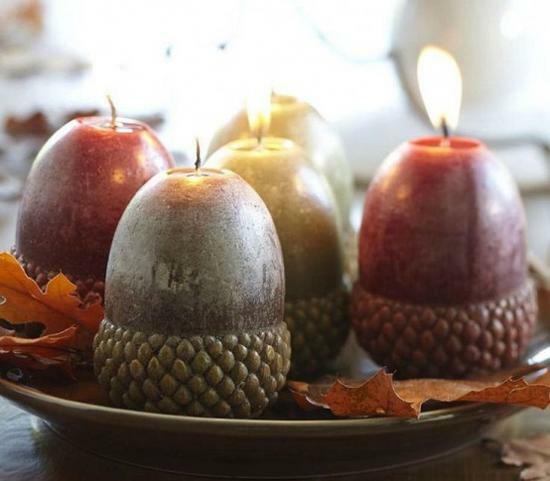 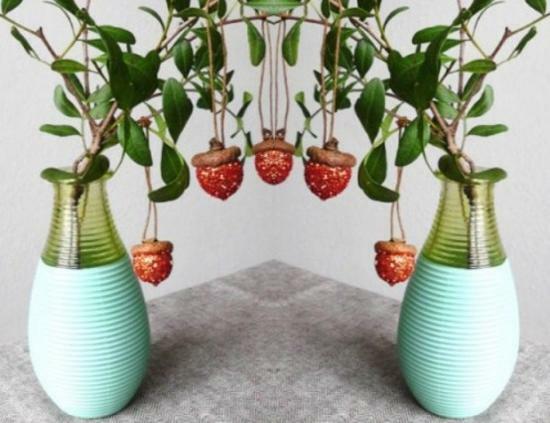 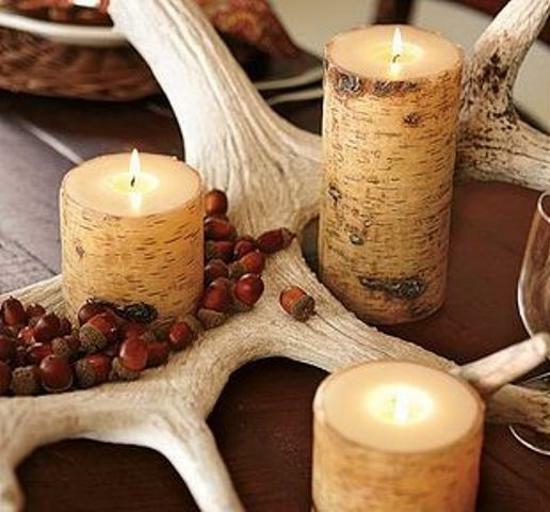 Acorns, pine cones, gorgeous fall leaves and blooming in fall flowers just wait for your creative craft ideas that can turn these simple materials into eco friendly, stunning and pleasant table centerpieces and home decorations. 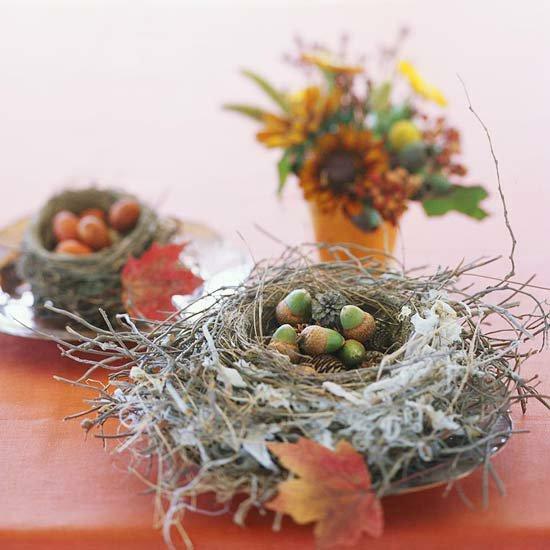 Adding acorns to fall flowers and pumpkins enrich fall decorating ideas, adding comfortable brown colors and unique texture to fall table centerpieces. 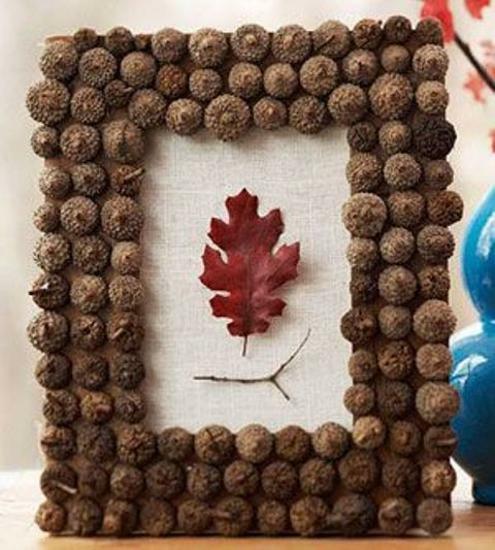 Acorns are wonderful for fall crafts. 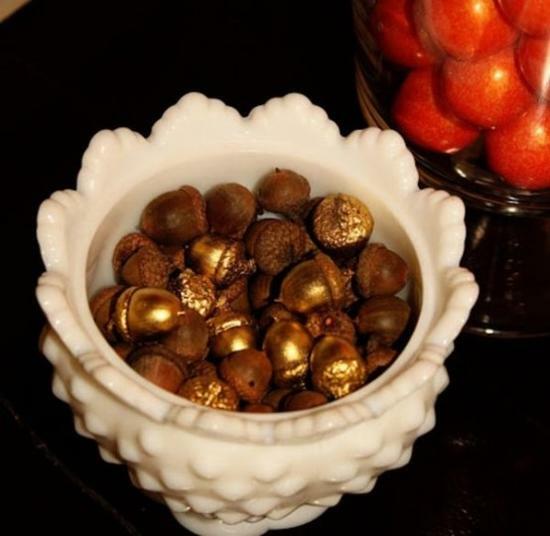 Handmade home decorations made with acorns are versatile and can be used for birthday table decorations and Halloween or Thanksgiving home decorating. 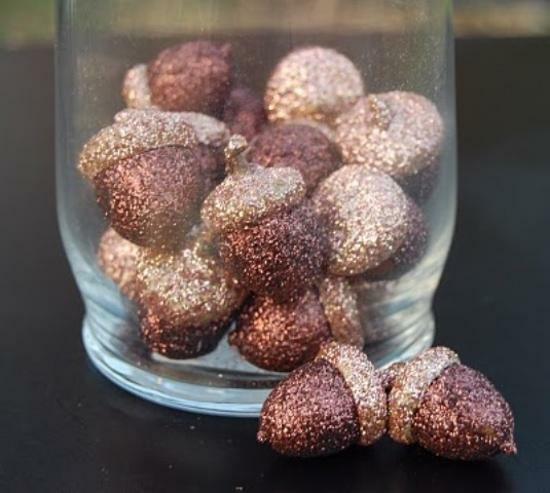 Fall is the longest decorating season of the year, so you can get enough use for beautiful acorns. 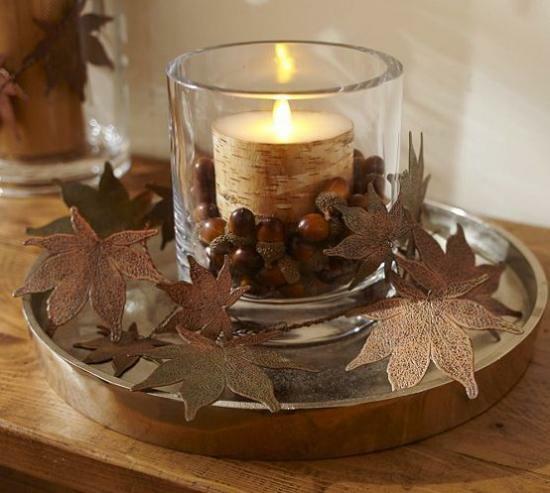 Make it simple by placing colorful leaves and acorns in glass vases. 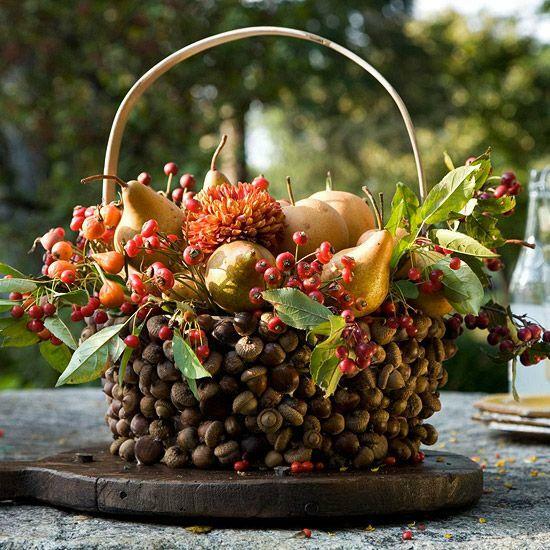 Display acorns in canning jars or combined them with pine cones, fall leaves and apples in baskets. 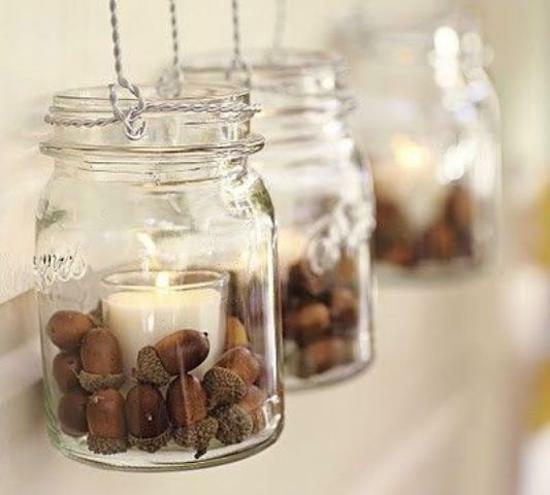 Use glass containers such as hurricane lamps and fill them with acorns displaying their attractive shapes and texture. 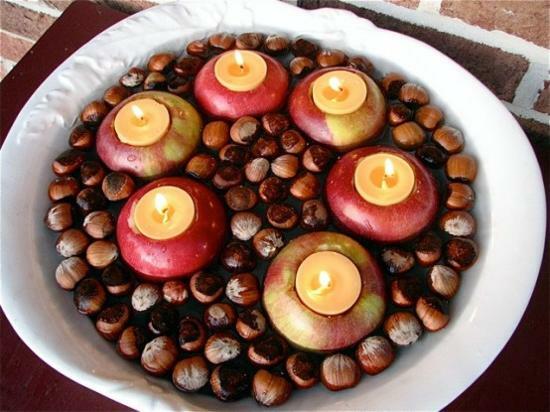 Fall decorating ideas and table centerpieces with acorns save you money on dining room table decoration. 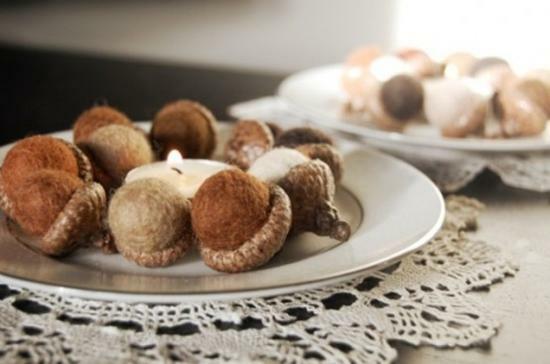 Simple and elegant table centerpieces made with acorns add comfort and coziness to dining table decoration, bringing almost neutral brown colors into your home. 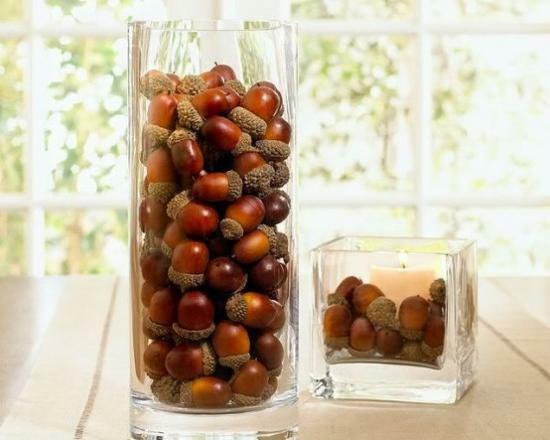 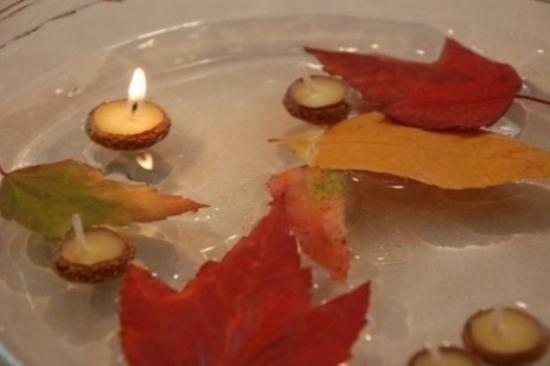 Creative craft ideas or simple table centerpieces with acorns may vary in sizes and can suit any table design style. 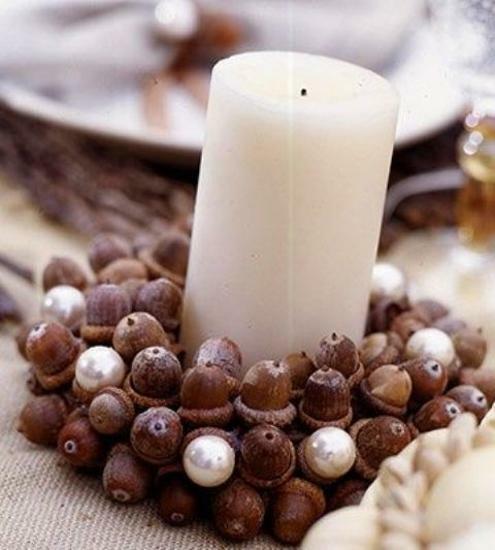 Adding candles to table centerpieces fill your dining room or living room with warmth and charm.